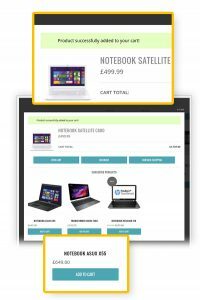 YITH WooCommerce Added to Cart Popup Premium Extension: allows you to show a pop-up window each time a new product is added to cart displaying its content to the customer and thus granting them a clear overview of the products they are purchasing, encouraging surfing and purchasing more products. 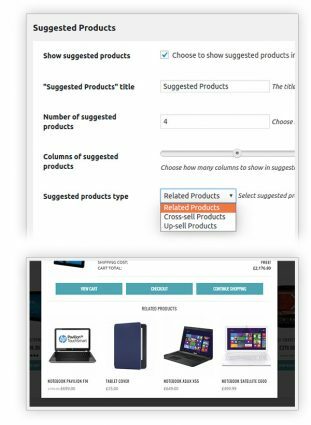 When we developed this plugin we tried to create a system that would be simple and that wouldn’t compromise the purchase process in any way, that’s why we’ve chose to create a non-invasive pop-up which would make the purchase process dynamic and would reassure those customers who would tend not to complete the purchase or to purchase less items than they’d want. 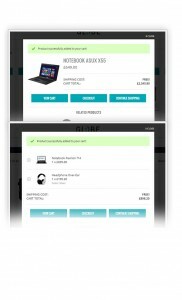 Once that was taken care of, we wanted to enrich this plugin in order to provide you with an effective tool that would adapt to several different scenarios, giving our pop-up window 8 different animations when it shows up, the canche to display a selection of products in the pop-up window itself and the chance to completely customize the color and size of the window.